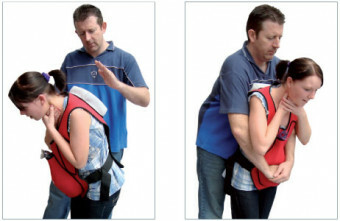 Purchase 50 or more Choking Rescue Trainer Vests and download your free support pack worth £100. Purchase 200 or more Choking Rescue Trainer Vests and you can have personalised covers absolutely free! At last! A choking treatment trainer that is affordable, light weight, transportable and fun! This choking rescue trainer can be worn as a vest or placed on a resus manikin to practise both back blows and abdominal thrusts. Your students will have great fun using this trainer! This is a great piece of affordable kit that introduces a fun, safe, 'hands on' learning method for the treatment of choking. A great way to bring a kinaesthetic element to learning the treatment of choking.